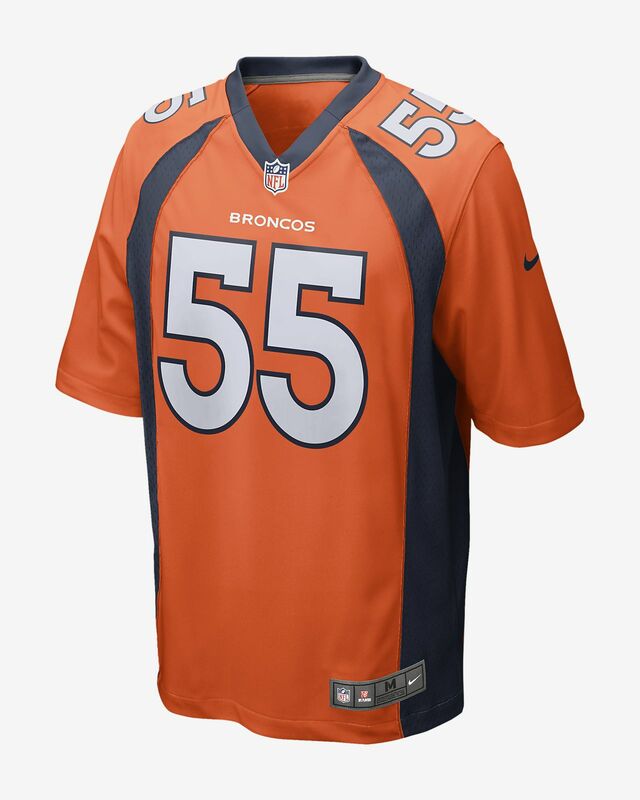 Rep your favorite team and player anytime in the NFL Denver Broncos Game (Bradley Chubb) Men's Football Jersey, inspired by what they're wearing on the field and designed for total comfort. Rep your favorite team and player anytime in the NFL Denver Broncos Game (Bradley Chubb) Men&apos;s Football Jersey, inspired by what they&apos;re wearing on the field and designed for total comfort. Mesh side panels add breathability. Tagless neck label provides streamlined comfort. Loose fit allows for layering. Name, number and team mark are screen printed. Have your say. Be the first to review the NFL Denver Broncos Game (Bradley Chubb).